Winners of Singapore’s Effie Awards were unveiled and honored at a gala dinner on June 9th at the Pan Pacific Hotel. Held annually by the Institute of Advertising Singapore (IAS), Singapore’s Effie Award is judged on effectiveness, recognizing outstanding marketing communication work that draws on insightful strategy and creativity to yield impactful results. A jury of Singapore’s leading senior advertising and marketing professionals, led by Effie Singapore Chairman Ben Lightfoot, awarded a total of fifteen awards this year. Four gold, five silver and six bronze Effies were awarded across ten categories to twenty-five winning marketers and agencies. 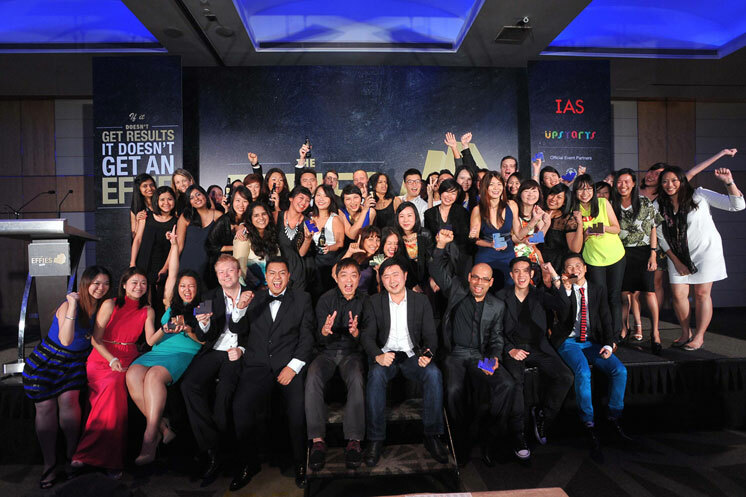 DDB Group Singapore and OMD Singapore led the charge, taking home six awards each. The Health Promotion Board picked up two golds for “I Quit 28 Day Countdown” and “Recipe”. “The Great Human Experience” by Ogilvy & Mather Singapore for the Singapore Tourism Board and “Arthur’s Day 2013” by BBDO Singapore/ZenithOptimedia for Guinness were also awarded gold. An analysis of the medalists by research agency and presenting partner, Millward Brown, showed that successful brands and marketing strategies placed equal importance on achieving long-term brand value and sales targets. In the products and services category, Millward Brown found that advertisers and agencies that had a well-defined clarity of purpose and point of differentiation for their brands not only made up 90 percent of the winners at the 2014 Effie Singapore awards, but also saw a significant increase in sales. Effie Award Singapore 2014 was organized by IAS and sponsored by Asia Pacific Breweries Singapore, MediaCorp and Millward Brown. To view the 2014 Effie Singapore official release and full list of winners, please click here or visit the IAS website.